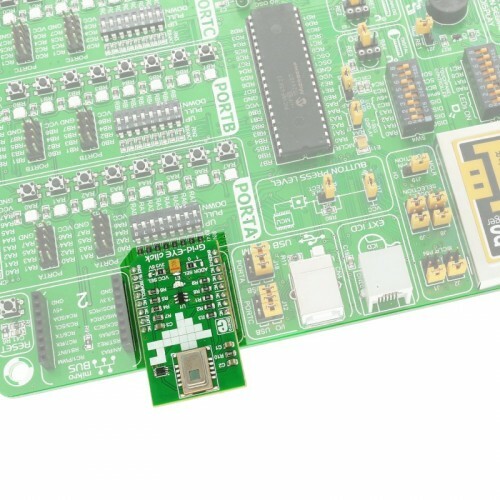 PWR Power LED Power supply LED, lights green when power is on. 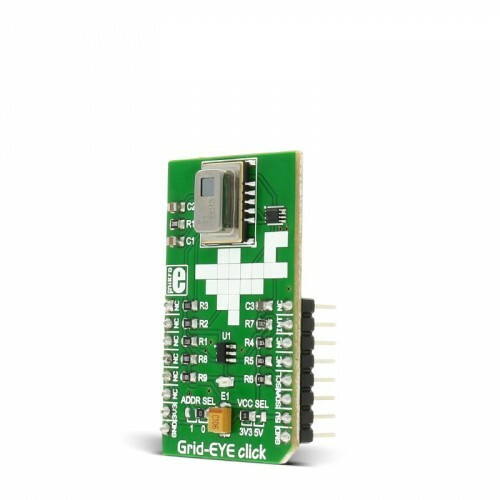 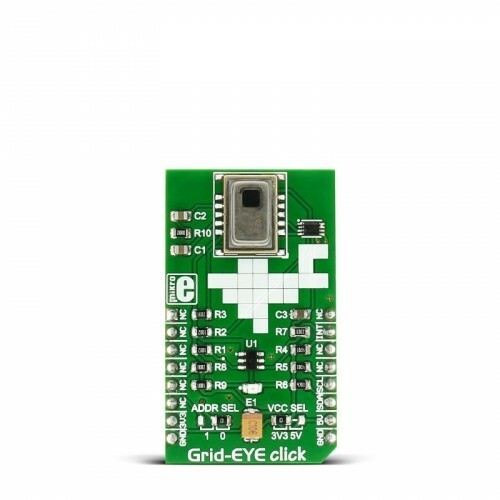 Code examples for Grid-EYE click, written for MikroElektronika hardware and compilers are available on Libstock. 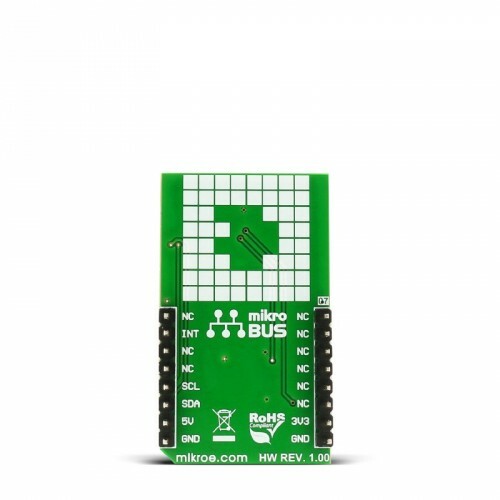 This code converts the grid array sensor data to temperature [in C] and fills the grid array drawn on the TFT display by the appropriate color, depending on the temperature detected.